American buyers looking for a genuine military vehicle to call their own have been out of luck since 2006, when the Hummer H1, a.k.a. Humvee, went out of production. Six years later the Hummer’s maker, AM General, has changed its mind. New Hummers may be on sale soon, but only as kits. 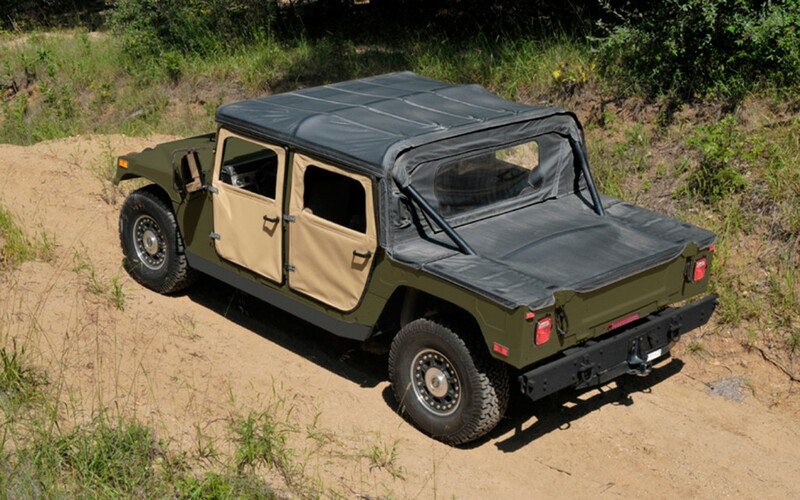 The Humvee C-Series (General Motors still owns the Hummer trademark) first surfaced in August, and now AM General is formally announcing its plans to offer the kit to civilians. Don’t worry about having to install heated seats or plastic interior trim, because the C-Series will be more like a the military Humvee than the civilian H1. The interior will be completely stripped down, although the dashboard and center console will be shared with the old H1. The truck will only be available as a soft-top with four canvas doors, making a very interesting alternative to the Jeep Wrangler Unlimited. The spartan interior and lack of real doors will make the C-Series somewhat unsuitable for everyday driving, but that should suit AM General, and Hummer fans, just fine. Offering the C-Series as a kit means AM General can avoid most of the red tape of crash tests and emissions. Off-road enthusiasts, who would probably strip out any creature comforts anyway, get the basic Humvee chassis they really want. Assembling a Humvee might seem a little daunting, but AM General says the C-Series includes everything backyard mechanics will need. The kit includes a frame, painted body (available in khaki, dark military green, or sand), seats, wiring, fuel tanks, and a set of Torsen differentials. According to AM General, some of the more intricate bits are pre-assembled at the factory. One major item is not included: an engine. Owners will have to supply their own powerplants, as well as transmissions. 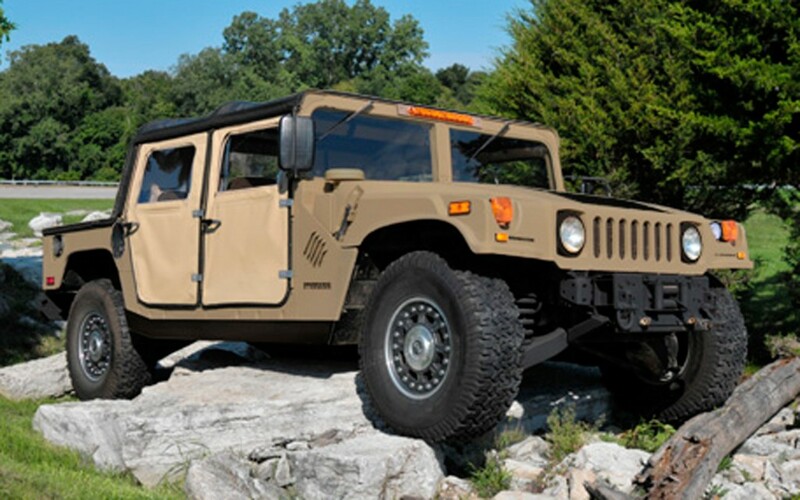 Civilian Hummer H1s were sold with GM’s Duramax turbo-diesel, varying in displacement and power depending on the model year. The entire kit costs $59,995, plus the cost of an engine and transmission. AM General also offers accessories, including a central tire inflation system, which allows the driver to control the pressure in all four tires from the cabin, and chunky BF Goodrich All-Terrain T/A tires with Hutchinson 17-inch beadlock rims. With every option included, the price jumps to $77,800. That may seem like a steep price for a kit car, but no vehicle currently available can match the Humvee’s off road abilities. Abilities aside, the C-Series also comes with some negative baggage. In the boom years of the 1990s, the Humvee was just about the coolest vehicle on the market. But in these days of economic austerity and environmental awareness, it is politically incorrect. Do buyers still care about the Humvee? That’s what AM General wants to find out. The company is taking deposits ($5,995), but it will only put the kits into production if enough people express interest.